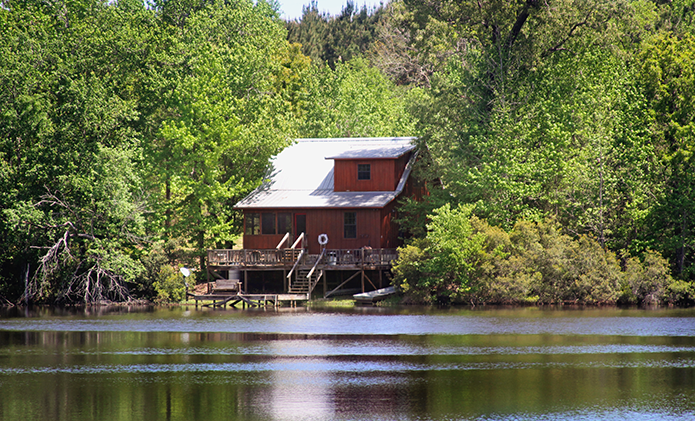 Stillwater Refuge offers a quiet retreat for your mind, body, and soul. Nestled on more than 1,500 acres in the Piney woods of East Texas, Stillwater Refuge is a peaceful retreat from a busy and tech filled world. You will love all the elements of relaxation and comfort, including beautiful scenery, sink-into accommodations, amazing wildlife, exceptional hospitality and private lodging. Whether you prefer to watch nature from your rocking chair, need a personal retreat, or want to spend the day in pursuit of your favorite outdoor activity, you will take home the peace of God’s country…and Stillwater Refuge. We have a multifaceted ministry that believes in utilizing our gifts and talents to reach anyone that comes to Stillwater Refuge, whether for pleasure or work. Our goal is to fulfill the Great Commission by using unique tools to build-up Godly youth, men, marriages and families and activate them to advance the Kingdom of God. For more information, check out the rest of our web page. ** To make a donation to Stillwater Refuge use the button below. This will take you directly to Pay Pal. Once on that page you can enter any amount. If you would like the donation to go to something specific, click on “Add special instructions to the seller” and let us know where the gift is going. Thank you!